The birth of my son, Adewale, was such a wonderful experience thanks to your cool, calm and relaxed attitude. Your natural instincts were unbelievable from start to finish. When I first started having contractions, you stayed on the phone with me to time them. When you realized how close together the contractions were, you were already in your car and on your way to my house. When you got to my house. You knew the exact place on my back that needed attention, and you continued to rub my back at my request. You also managed to load the car up with my hospital suitcase, birthing ball, and whatever else you thought we would need. You didn’t stress me or panic, even though we had to get to the hospital quickly. You remained calm and supportive of me. In the car, when I told you that I felt like I had to push, you told me that my body naturally knows what to do. You were so calm and reassuring. When we arrived at the hospital (6:10 pm) you told me that everything would be okay, and you returned quickly with a nurse and a wheelchair. Inside the hospital, you listened carefully to the nurses, and represented me as you relayed my wishes for a natural birth to them. Again, you reassured me that everything was going to be okay. When it was time to push, you were right at my side, coaching me the whole way. I thank God you were there. Adewale was born at 6:41 pm, a healthy baby boy!?! What a surprise. Not only did he decide to come very fast, he decided to surprise us all, because the ultrasound technician said I was having a girl. I am so glad that you were there, and I am so pleased with all the recommendations you gave me throughout my pregnancy. All of the stretching exercises helped me tremendously. Now that I am pregnant with my second child, a girl we think, I hope you will be able to be there to rub my back and reassure me again. You seemed to make all the pain and worry go away, making my first childbirth as serene as it could be under the pressured circumstances. 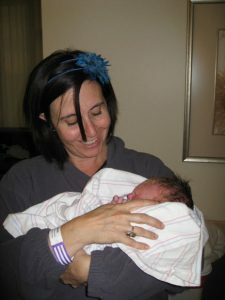 Kim, your natural instincts have you in the right profession, and any woman that has you as a doula is truly fortunate. You have found your calling in life, and it shows. Thank you from the bottom of my heart. I can’t thank you enough for all the help – from the pregnancy all the way to now, Nik’s 5th month of life! Your wisdom, love, and constant support have been invaluable. We had no idea how much we needed an advocate in the delivery room. I thought I had read everything and was prepared but nothing prepares you for childbirth. It was wonderful to have you there as our advocate, we don’t know what we would’ve done without you! Through all the contractions and setbacks your voice was one of the very few I could hear throughout my labor, you knew exactly what to say and what to do. We can’t thank you enough and we are glad to consider you part of our family- Auntie Kim! When I met Kim, I knew I wanted her to be apart of bringing my daughter into the world. Not only was she knowledgeable and passionate about women’s choices in birthing, but she had a confidence in my ability to have a natural birth, a confidence that I didn’t always have in myself. After a traumatic birth experience with my first baby, I wasn’t convinced that I could make it through labor without interventions or drugs. Before my daughter’s birth, Kim’s encouragement and suggesting helpful learning resources was priceless in helping me prepare. During labor, Kim’s calm reassurance, natural pain relief suggestions, and a willingness to help out in any way was a huge support to both my husband and me. I had the strength all along to have a natural birth the way God created our bodies to bring babies into this world. However, having Kim as my doula made all the difference in having the support, confidence, and help during pregnancy and labor that allowed me to trust my body and having an amazing birth experience with my second daughter. Kim, what you do for us pregnant moms is an amazing gift and talent, and I thank you from the bottom of my heart for being a part of my birth experience. We interviewed two doulas for our first birth experience – which happened to be with twins. We liked both candidates and felt they were qualified, but we had an instant rapport with Kim which we felt was most important. Kim listened and answered all of our questions as first time parents and she really went out of her way to make the lead up to the birth as stress free as possible. She also respected our wishes and didn’t try to sway us into experiences that we didn’t want. She also got along very well with my husband and understood his humor which was very important since they needed to work as a team. Kim meet with us three times prior to the birth discussing everything from the birth plan to pumping to labor positions. She also attended a hospital tour and an ultrasound appointment with me when my husband was out of town. I was able to call Kim at any time with questions and took advantage of that at 3am when my water broke and again at 3am when the contractions were coming fast and hard. Kim was with me in the hospital working to help have as natural and comfortable a birth as possible. She was an advocate for me and my husband helping us to ask questions of the doctor and nurse to ensure we had the experience we wanted. Kim was able to attend the actual birth of the twins and was right there as part of the birthing team for the pushing and delivery. 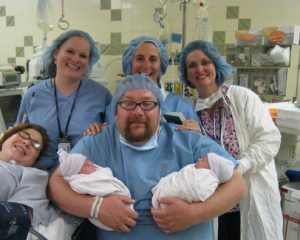 I ended up delivering both twins vaginally which was an amazing experience and I’m so glad that Kim was able to be in the room. I feel that we not only found a doula for our birthing experience needs, but a friend who will help support us as first-time parents during this new journey. From the first time we met Kim, we felt a comfortable and familiar bond with her. Through her HypnoBabies course we became more informed about and at ease with the birthing process and all its wonderful facets, and we grew closer as a team. During my pregnancy, Kim was always available in person, by phone, or email to answer our questions, steady our minds, offer encouragement. The day my water broke, she was the voice of calm, coming to our home to be with us while I labored at home and met us at the hospital for what was, I can only say, an amazing birth experience. She was encouraging when I needed it, quiet when I needed it, and in all ways available when I needed anything. When we had to make a decision that veered slightly from our birth plan, Kim was the voice of experience and compassion and helped us make an informed and appropriate choice. Her support and companionship has not ended with the birth of our beautiful son, and we are so thankful to count Kim among our friends. Where do we start? We truly enjoyed your Hypnobabies class that was so crucial and provided a strong foundation for us. It was such a wonderful experience. It was strange to experience something that we advocate for as medical social scientists—but this time we were the participants not the researchers. It was one of those transformative moments where our way of being was impacted at a profound level. The weekly classes and the daily “homeplay” were critical for what waited for us during our birthing experience. After taking the classes it became clear that we needed you on our birthing team! Our decision to use a doula proved to be a fortunate decision. Beatriz’ water broke but she did not have any birthing waves! You were very helpful during the 24-hour period when we waited for the birthing waves to start. As soon as we entered the hospital the OB/GYN insisted on an aggressive intervention strategy that started with pitocin. Luckily—you knew how to politic and schmooze with the nurses. All of the nurses respected our decision to use Hypnobabies. Part of the Hypnobabies training involved not being confrontational—fend for yourself but do it with restraint. As the lead birth coach for Beatriz it was very reassuring having such a birth expert by our side. You took care of our needs and us during our birthing time. You reminded us of our cues and suggested which hypno track to listen to. Yes dads-to-be are central to the birthing experience but having such a knowledgeable team member is priceless. After many hours and a dramatically increased pitocin drip—Beatriz was not dilating “fast enough” as defined by the hospital and the on-call OB/GYN. You stepped in with the nurses on duty and you recommended some key birthing wave body positioning to “move things along.” And after an hour of experiencing the birthing waves in these positions—we avoided what appeared to be an inevitable cesarean section. For this we are truly grateful we decided to use a doula and more specifically to work with you! Even after the birth you continued to help us. In fact—we still maintain communication. I enjoy referring my friends to you and asking you for various referrals. 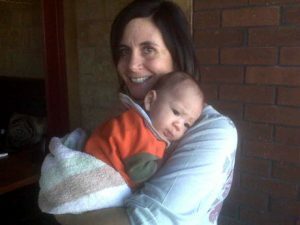 We look forward to working with you again in the future as our doula again…if we are so blessed to have another child! Thank you for helping us meet our baby! As first time parents, whose families are back east, we were looking for a nurturing, maternal and experienced doula to make us feel confident about the birthing process. In Kim, we found a personal coach, teacher and friend. 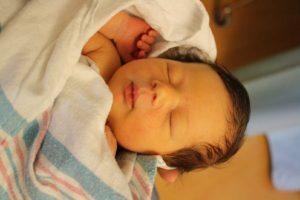 She helped us feel prepared and fully supported throughout the whole birthing process. She informed us of our rights as parents, and she struck the perfect balance between advocating for us and our baby, while respecting hospital staff and policy. Her knowledge of hospital procedures and our rights made us feel at ease when it came time to be flexible with our birth plan. We can’t imagine having done this without her. Thanks Kim!! Kim is HIGHLY RECOMMENDED to my closest of friends and family. She is an amazing advocate, educator, and all around great support system who my husband and I have quickly learned to trust and count on for help and guidance for the birth of our last two children. 5-6 years ago we took her Hypnobabies class and because she is so great at what she does, we hired her to be our doula to which she positively supported us providing home-visits and ongoing care even after the birth of my first son. Because of the exceptional support and education, we signed up for another class of hers which helped us with our most recent birthing experience for our now 5 month old son. She makes herself available when in need and while in the middle of the birthing process she was there for us and was nothing less than dependable, encouraging, and knowledgeable. We owe so much to Kim and the experience she’s provided. We are truly grateful for her wisdom and am so fortunate that she continues to be in the line of work that she is……She’s also a lot of fun too. Hypnobabies’ class time is pretty enjoyable. My husband and I took a hypnobabies course with Kim and Alicia and it was fantastic. 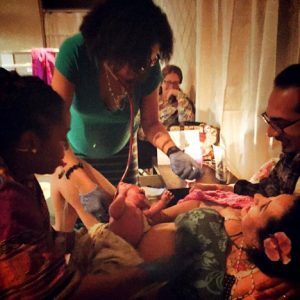 We learned so much about the birthing process and it completely re-framed how I view birth. Kim and Alicia are both very knowledgeable and easy going. We are still waiting on our baby to arrive (41 weeks at this point!) but we feel really prepared and excited for the big day thanks to this class! My husband and I had a really positive experience with Kim as our Hypnobabies educator. She has a warm and easy energy, is very knowledgable, and goes out of her way to help with resources. After each class I left feeling that I had learned a lot about birthing and at the end of the experience I felt empowered. I would highly recommend Kim as a teacher and hypnobabies as a birthing method. We really enjoyed working with Kim. 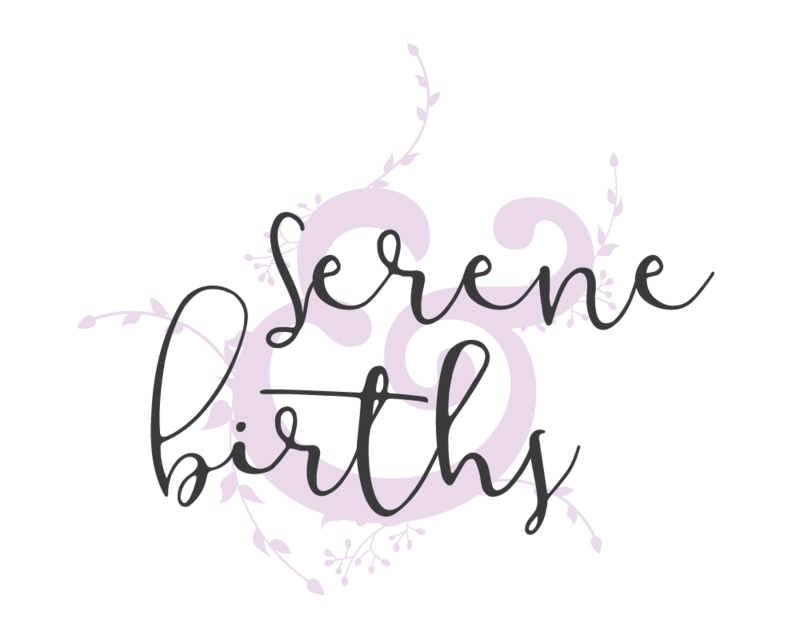 She puts together a really great birth education and hypnobabies class. She has become a trusted resource for me and is always willing to help with recommendations and referrals. I used the techniques she taught us for both of our births. Our class with Kim was almost 5 years ago and I still keep in contact with her today. Kim is amazing!! Took her Hypnobabies course and I was transformed. Although the material was a lot for a six week course, Kim made it easy to understand and enjoyable! Her experience as a doula provided all of us with so much internal knowledge that others don’t receive. I liked that she was able to answer all of my questions and took the extra time to help me figure out my baby’s position. Looking forward to having her as my doula with my future babies! Kimberly is our Hypnobabies Vice President, an Advisory Board Member, one of our best Instructor Trainers (she teaches the teachers to teach!) and a very experienced and successful Hypnobabies Instructor. Her students and doula clients absolutely love her for her fun, engaging personality and her extensive and compassionate expertise in the birthing field, which has been invaluable to them. It makes such a difference to have an extremely accomplished and knowledgeable Hypnobabies Instructor when you desire a much easier and more comfortable birth, and Kimberly fits that bill with ease. Who could be better to teach an expectant family their Hypnobabies skills and techniques than a person who actually TRAINS the other Hypnobabies Instructors how to teach?? As Founder/Director of Hypnobabies, based on her knowledge and experience and the love she extends to her Hypnobabies students, Kimberly Gross has my vote as best Hypnobabies Instructor in Southern California! I took a Hypnobabies class with Kim and Alicia as our instructors and learned so much. They were very personable and knowledgeable about childbirth and answered all of our questions along the way. Highly recommended!! !